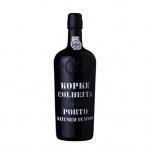 Kopke is part of Portugal's legacy and was created in 1638 by Christiano Kopke and his son, Nicolau Kopke. 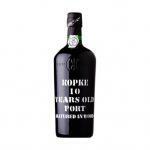 Over a handfull of generations the Company was managed by several representatives of the Kopke family and gets an excellent reputation for its wines. 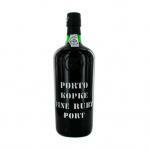 Some of its members were deeply involved in the Port trade, mainly in the 19th century. 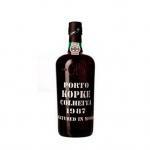 In 1953, and after some negotiations, the Barros family, headed by Manuel Barros, then bought the company, which is growing eversince with the development of new vineyards planting the best known varieties. 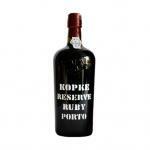 In June 2006, the Group expands and becomes Sogevinus with a strong presence in the Port wine industry. 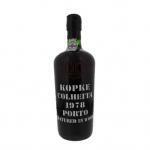 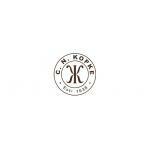 Today Kopke is one of the oldest brand of port wine and assumes leadership in the category "Porto Colheita".